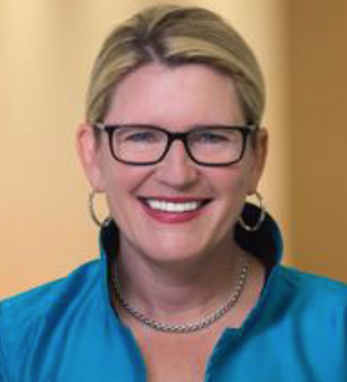 Joanna Geraghty is JetBlue Airlines’ executive vice president of customer experience, a role in which she leads over 12,000 employees across 100 airports, the customer support team, and the inflight service team. Joanna joined JetBlue in 2005 as the airline’s vice president, later serving as associate general counsel, director of litigation and regulatory affairs, and as the executive vice president and chief people officer from 2010 to 2014. Previously, she served as a partner at law firm Holland & Knight. Joanna received her B.A. from the College of the Holy Cross in 1994, and went on to earn a master’s in international relations from Syracuse University’s Maxwell School of Citizenship and Public Affairs in 1997 and a J.D. from Syracuse University College of Law in the same year. Joanna, who is a third-generation Irish American, chairs the board of the Irish non- profit organization Concern Worldwide U.S. Though a resident of New York, she considers herself based in all locations that JetBlue flies.